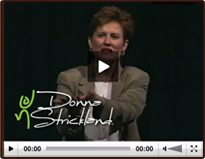 Since 1990, Donna Strickland has been assisting organizations in improving productivity and performance through leadership and team development. Donna is a certified Change and Transition Management Consultant and the first Registered Nurse in the world to become accredited in Goleman’s 360 Emotional Competency Inventory. She works as a team and leadership development consultant and executive coach for the health care industry. 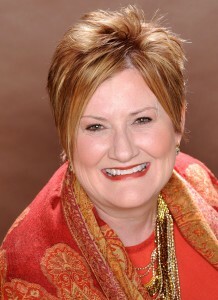 Donna is a highly recognized leadership, team and talent management consultant and coach. She is known for her delightful, authentic style. As an accomplished “systems thinker” with more than 20 years of experience utilizing cutting edge, innovative experiences, Donna helps build the leadership pipeline and accelerate the readiness of emerging and current leaders. She has a special talent for creating, designing and implementing customized leadership development programs that have an array of high-impact developmental experiences, delivering exceptional results. Donna has a diverse background in change management, leadership development, building teams, humor and healing, emotional intelligence, 360s, talent management, succession planning and facilitation. She is a resourceful problem-solver with unique talent for assessing organizational psychology, building long-standing relationships and presenting custom-tailored solutions to long-standing organizational challenges. Donna has strong experience in influencing and collaborating with vendors, coalitions and customers for successful outcomes. She possesses expert diagnostic, needs assessment and facilitation skills necessary to identify and resolve organizational performance issues, presenting cost-effective solutions. Donna’s work is collaborative, involving client personnel and resources and the transfer of skills to the client. Her engagements are usually completed within one to six months, although many of Donna’s clients have had her do multiple year stints as the entire organization was overhauled. Donna works against specific objectives with clearly-established outcomes and timing, contributing to client business goals. 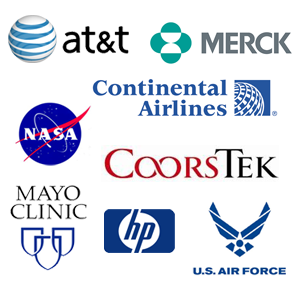 Clients include corporate giants such as Merck, AT&T, Lucent Technologies, Hewlett-Packard, Continental Airlines and CoorsTek. In the healthcare sector, Donna has consulted to The Methodist Health System, MD Anderson Healthcare System, New York Presbyterian Hospitals, Baptist Health Systems and The Mayo Clinic, among scores of others. In the public sector, Donna has worked with organizations such as the U.S. Department of Agriculture, U.S. Post Office, the FDA, U.S. Forestry Service, U.S. Interior, the U.S. Airforce, the United States Army and universities throughout the nation. Over a five-year period, Donna had the distinct honor of participating as a guest speaker and coach in the award winning Leadership Alchemy Leadership Development Program, a transformational leadership development program dedicated to “whole-person” development from the “inside-out.” She was hand-picked as part of a competitive process to deliver content to the leaders and scientists from NASA Goddard Space Flight Center. (303) 808-4880 for more information.